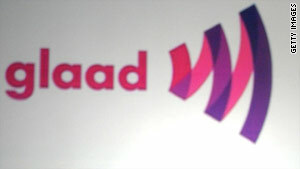 Facebook "intends to work closely with GLAAD and other LGBT organizations on future initiatives." (Mashable) -- The Gay & Lesbian Alliance Against Defamation (GLAAD) has teamed up with Facebook to reduce the amount of hate speech and anti-gay bullying that goes on around the internet. Members of the gay community reached out to GLAAD recently when a Facebook page created to remember the victims of anti-gay bullying who had committed suicide was flooded with hateful, violent and derogatory remarks and images. Fortunately, GLAAD was able to work with Facebook to remove the content, and this organization's work with Facebook has just begun. Recently, tragic events that included the use of technology to shame and harass a college student, Tyler Clementi, because of his sexual preference led to Clementi's suicide. And this sad news came just a couple weeks after 15-year-old Billy Lucas committed suicide after being tormented by other young people about his sexuality. Since then, celebrities, organizations and social media users have taken to the web to spread words of encouragement and discourage bullying behavior. Columnist Dan Savage launched a YouTube channel, "It Gets Better," and many celebrities have spoken out on YouTube about LGBT issues and teen bullying. MTV Networks even rolled out an iPhone app to help combat bullying. Still, the largest online destination for many beleaguered gay teens and young adults is Facebook -- ironically, one of the platforms where hate speech, though prohibited, is unfortunately still carried out. Today, Facebook announced that they're making new efforts to respond quickly when hateful speech violates the terms of service and needs to be removed. And this isn't just routine TOS policing, either. Facebook Public Policy Communications Manager Andrew Noyes wrote in an email today that Facebook "intends to work closely with GLAAD and other LGBT organizations on future initiatives." Stay tuned for more information on how exactly the social network plans to support LGBT teens and the larger gay community.